They may have taken the stage for only 10 minutes, but their look stole the show for weeks. MFBTY have long been fashion icons, but we are thoroughly enjoying the edgy look done for the night by new stylist, Eelittle. The blue carpet look that stole everyone’s attention is actually from Korean suit designer, JimmyTheTailor. The suits are made of silk tafetta, a heavily structured material usually associated with wedding gowns. Its shiny appearance risks gaudy reflection when hundreds of flashes are around you, and let’s not talk about risking matching the carpet. Somehow, though, our trio was able to pull it off. Tasha and Tiger’s matching suits take couple outfits to a much classier level, and each of their looks reflects their individuality with such subtlety (JK’s hat resonates Johnny Depp, an actor he admires). What tops the outfit is the excellent slim fitting. Suit jackets are never meant to squeeze at the bust and suit pants should be fitted to maximize a flattering look. 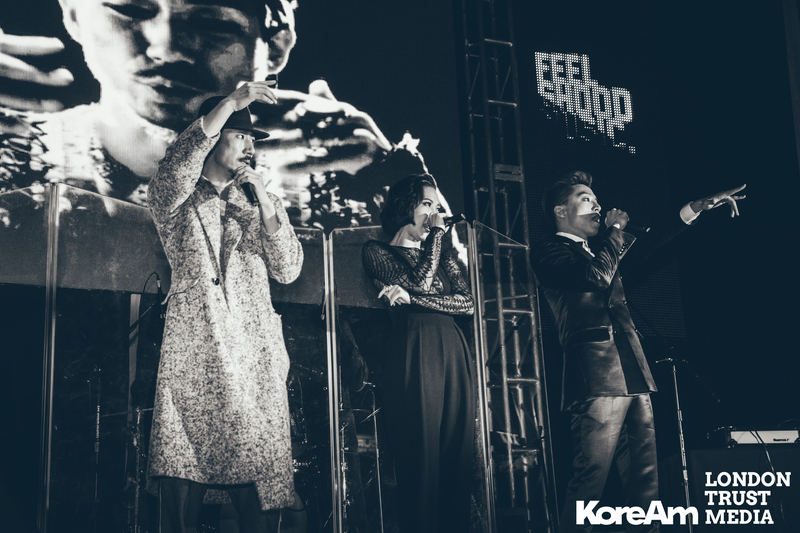 So kudos to Eelittle for giving MFBTY possibly the most memorable blue carpet look for the night. The performance of “Get It In” and “Sweet Dream,” saw a quick wardrobe change. 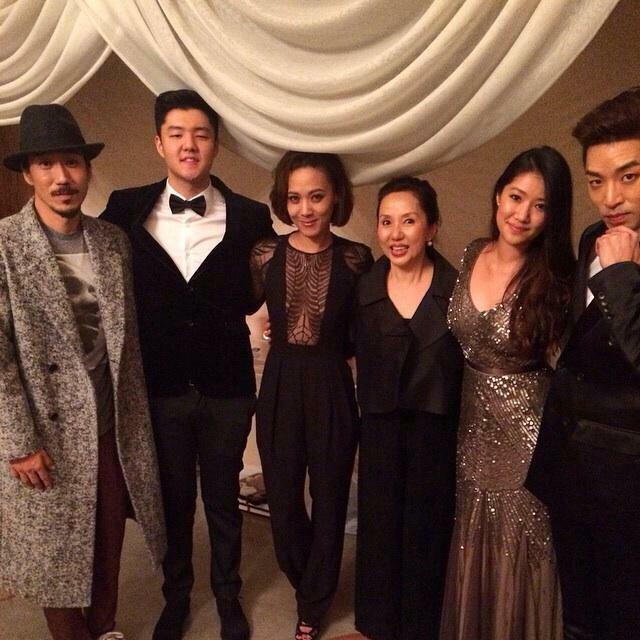 While Bizzy remained in his suit (ever had to perform in structured non-sweat wickering fabric? Brave man), Tasha was next seen wearing a classy lace faux cut out jumpsuit from Gucci Fall 2013. This was apparently her personal pick and actually reflects how highly she values comfort. Tiger, however, chose an interesting true-to-himself ensemble for the Gala performance. Docked in a long wool coat and the same Johnny Depp hat, Tiger rocked an MLK t-shirt and sweatpants underneath. The outfit on paper sounds insane for an event of prestige, but it worked only because it’s Tiger. Want to see more? Check this red carpet coverage from DramaFever and DTBR’s photo gallery.